Generally we think Krishna enlightened Brahmā, and that’s a fine basic summary of what happened. But here is a little more detail. “There is no one else around, so it must be a communication from a greater being trying to help me.” He thought. He concentrated on the sound, and intuited the meaning as “concentrate with discipline.” So he sat to do so. The Brahma Samhita (particularly 5.24-28) elaborates on this and explains that it was in fact “Divya Sarasvatī” (an expansion of Śrīmatī Rādhārāṇī) who came to Brahmā in the universal darkness – perhaps just after he had heard “tapa” and was attempting follow the directive by meditating. She gave him a kāma-gayatrī mantra (kṛṣṇāya govindāya gopī-jana-vallabhāya). By elaborately meditating on this mantra, Brahmā realized it’s source, the flute of Śrī Kṛṣṇa. The 28th verse implies that at this point he had darśan of a mādhurya imbued Hari in Vaikuntha, surrounded by Lakṣmī’s just as he had meditated. The Bhāgavatam (Canto Two, Chapter Nine) describes this quite elaborately, including the concise four verses of instruction he received from Hari (which is famous as the four-verse-Bhāgavatam). So it appears that Śrīmatī Rādhārāṇī, expanded in the form of primordial Sarasvatī, helped Brahmā attain darśan with Hari, by which he was completely enlightened. 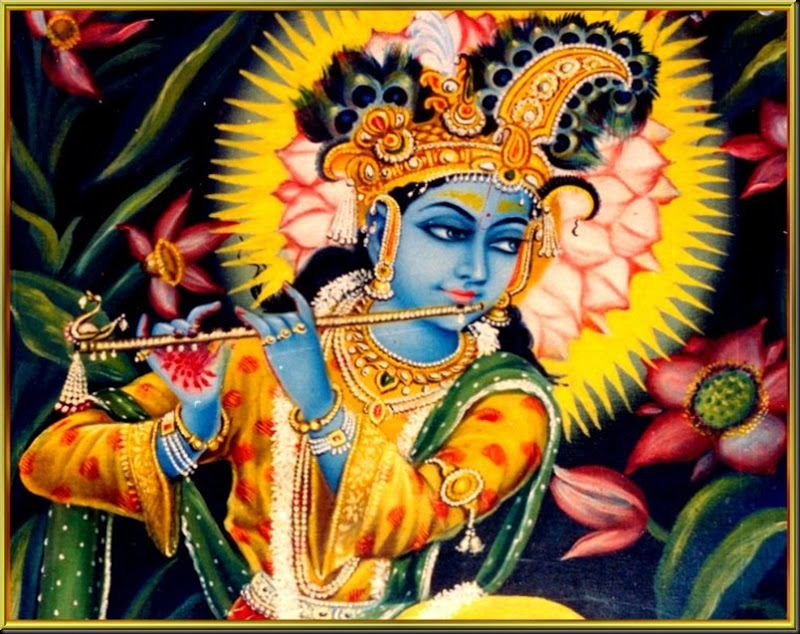 Previous Express your Convictions for Krishna – Passionately. Don’t be a fence-sitter! Next Māyā “Ashamed to be Seen” By Hari?